Trampolines are eye candy to children and adults alike. See one on a store and any child regardless of age may find their eyes light up with glee. 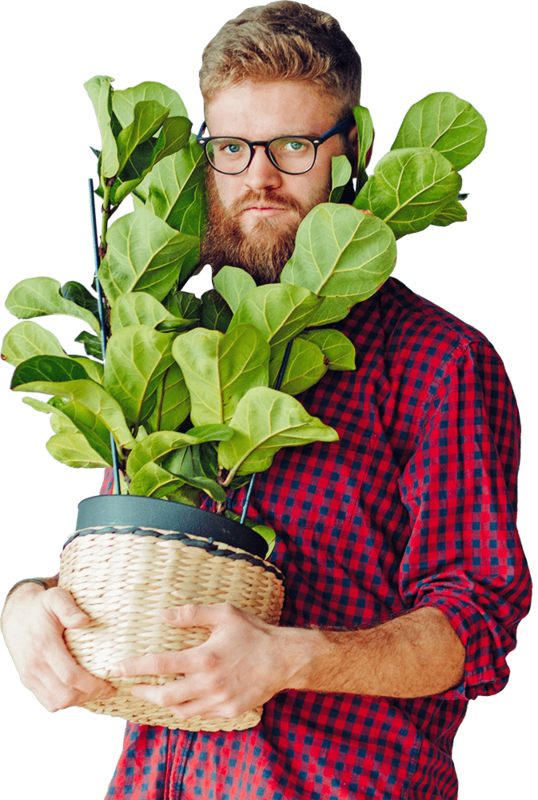 While it‘s attractive to many homeowners for its factor to bring fun in the household, getting an insurance claim becomes a challenge with it lying in a property. Dogs, swimming pools, and trampolines fall under the category of attractive nuisances. Owners of these elements are liable for any injuries to fall upon them. Despite homeowners insurance to cover costs for injuries to people in registered properties, insurers are less likely to provide coverage to harm caused by jumping on a trampoline. 1 How are trampolines treated in home insurance policies? 2 What to do if we want a trampoline in our property? 3 Is it okay not to tell my insurance company about the trampoline? 4 What happens If I don’t tell my insurer about the trampoline? 5 Will the insurance premium increase when I declare I own a trampoline? 6 Is it possible for an insurance company to cancel a policy just for owning a trampoline? 7 Are there options if any household member wants to own a trampoline? 8 Are there other factors besides trampolines that may affect homeowners insurance premiums? How are trampolines treated in home insurance policies? Trampoline insurance falls under liability coverage. Any household member injured during the process of jumping on a trampoline can’t file a homeowners insurance claim. However, health insurance policies may still cover to treat the injury. Otherwise, policyholders would have to shell out money from their pockets for any medical procedures caused by the event. BrainandSpinalCord.org reports that around 20 percent of spinal-caused related injuries are caused by trampoline activities. These actions include jumping, bumping into each other while jumping, trying to do stunts, and falling outside the trampoline after trying to perform a jump. 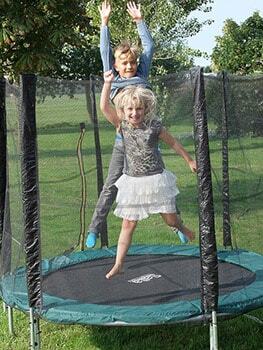 The Consumer Product Safety Review also reports that about 109,522 trampoline-related injuries took place in 2006. The majority of these reported incidents are from the 5 to 14-year-old age group with about 71,265 individuals hurt. This report also states that 104,729 individuals injured from trampoline activities went to emergency rooms for treatment. What to do if we want a trampoline in our property? Many children and adults can't help to want to have a trampoline. Consider the options first before deciding to install a trampoline. First, choose a safe model and it should have safety features. Users shouldn't send a person careening to nearby earth after a jumping session. It's important to do proper research first before buying a trampoline. Is it okay not to tell my insurance company about the trampoline? No. Always tell insurers of the existence of a trampoline in a property. Applications for home insurance policies should show the presence or ownership of a trampoline or any other attractive nuisances. Many insurance firms will have exclusions for these items. Hence, the company won’t cover any trampoline-related losses, injuries, or lawsuits. Do you cover trampoline-related incidents? Is the trampoline covered by personal property insurance? Does it require me to put safety measures in place? Does my policy exclude trampolines? Will the company cover any liability-related claims from using trampolines? What happens If I don’t tell my insurer about the trampoline? Not telling insurers about the existence of a trampoline is a dangerous act. Omitting the truth about any add-ons in a home could be troubling once a policyholder is about to file for a home insurance claim. Once the insurance agent or company knows that a trampoline is in the property without them knowing about it in the first place, then there’s a high chance of claims being denied. Will the insurance premium increase when I declare I own a trampoline? Many insurance firms won’t increase the premiums just because one or two trampolines are in the policyholder’s property. The reason behind this decision is that insurers find it difficult to calculate potential liability losses for policyholders. There are many things to consider like medical and legal costs. Is it possible for an insurance company to cancel a policy just for owning a trampoline? If a home insurance carrier doesn’t allow trampolines based on the guidelines, then the firm has the legal right to issue a cancellation of the policy. However, insurance companies are required to issue a notification in advance to policyholders before the impending date of cancellation. Are there options if any household member wants to own a trampoline? Insurance companies may offer options if some members of the household dream of having a trampoline. First, the company may offer coverage as long as the policyholder or property owner adds safety measures to the equipment or the surrounding areas. A trampoline that comes with a safety net right from the start is a good choice to increase the chances of getting approved claims in the event of incidents. Premiums may not go up despite the declaration of the existence of trampolines in a property. However, all medical costs relating to trampoline use will come out of the policyholder’s pockets. Are there other factors besides trampolines that may affect homeowners insurance premiums? Any home renovation or remodeling project requires material and construction costs. These charges may increase premiums but it means coverage will be up-to-date. Like trampolines, swimming pools also fall under the category of attractive nuisances. Policyholders, household members, and guests may not have full coverage when injuries occur from using these items. People are now considering working remote jobs. These occupations don’t require individuals to work in an office or business establishment. Insurers may require policyholders to pay additional for premiums for the coverage of possessions such as electronics used for work and business vehicles. Insurance companies require aspiring and current policyholders to declare the age of their homes. The older the house, the more susceptible it is to the elements and internal deterioration which means higher chances of liabilities. As with any insurance policy, it’s best to contact homeowners insurance companies for any questions regarding how trampolines affect coverage. Policyholders should know their plan’s coverage in case trampoline-related accidents occur.